of this "restrainer" or guiding rope. Great for parents who have many kids, time to form a football team. 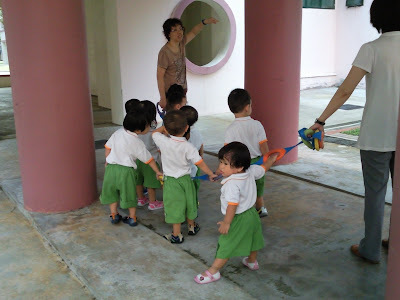 This rope may even work for Primary 1 or 2 teachers to manage their class whenever they bring them out for excursions. on 16 Sept 2013, 1030am. Man Soliciting Money at Jurong West Legal?